Micromax Tegra 4i has been leaked online by @leaksterInc ( press image of the phone ). The Micromax Tegra 4i has amazing specifications. It is re-branded Wiko Wax which launched at CES 2014. The Tegra 4-i has 4.7 inch HD display and runs on Android Jelly bean OS. it gains the strength from 1.7 gHz quad core CPU based on NVIDIA Tegra 4i chipset. If the Source is to be believed it will be the first 4G LTE capable handset from the company. The company would soon launch there first Windows phone as well. There is no word about the pricing, but considering the features the Tegra 4i would be priced under 21K. 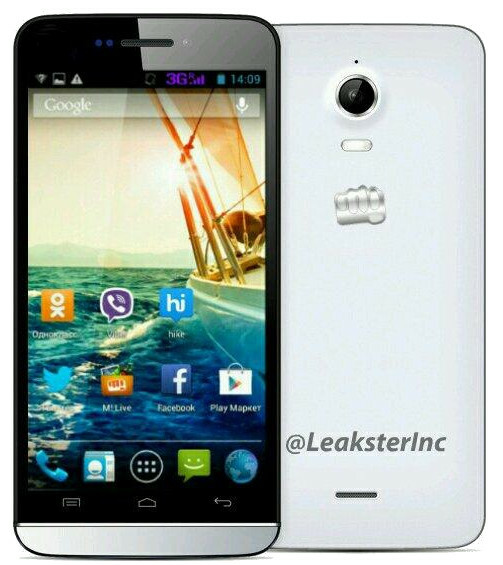 Micromax would launch this handset in June 2014. Stay tune for more tech updates.